Leader of the Opposition Bharrat Jagdeo is confident that the Caribbean Court of Justice (CCJ) will overturn the recent rulings by the local judiciary in challenges brought by members of his party. At a press conference held at his Queenstown office yesterday, Jagdeo said he read a part of the judgment on the challenge brought by People’s Progressive Party (PPP) Executive Secretary Zulfikar Mustapha to the appointment of retired judge James Patterson as chairman of the Guyana Elections Commission (GECOM) and he “simply cannot follow the strange logic” used in determining the case. The PPP is taking the challenge to the Caribbean Court of Justice (CCJ). “I have no doubt that a more profound reading of what we want in Guyana would result in the CCJ overturning of this. We are putting a lot of faith that the Constitution would be read properly at the CCJ,” Jagdeo said. The Court of Appeal ruled that Patterson’s unilateral appointment by President David Granger was legal. Jagdeo’s lack of confidence in the judiciary also came in wake of the dismissal of a High Court action filed by a PPP candidate seeking to void the names of 50 persons listed as official nominators of AFC candidates in the Bloomfield/Whim Neighbourhood Democratic Council. Prior to his ruling, Justice Navindra Singh had asked the police to investigate the allegation that the AFC fraudulently procured the names of residents listed as backers of its candidates. Quoting excerpts from the report, he said, it makes for interesting reading. According to the report, a Ryan Mahadeo claimed that Abraham Nagamootoo got him and his family members to sign as backers by signing papers which Nagamootoo reportedly said had nothing to do with the local government elections. 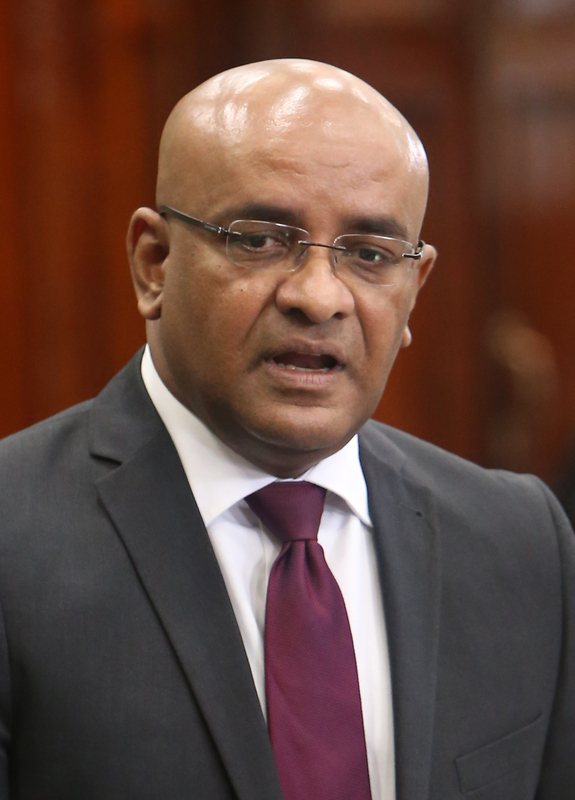 Nevertheless, Jagdeo said the police concluded that at no time were Mahadeo and his family members forced to sign the document. Jagdeo nonetheless maintained his party’s claim that Nagamootoo misled Mahadeo and others into signing on as backers of AFC candidates. The report was presented directly to the judge and not through the Director of Public Prosecutions, Jagdeo said. “That is why we are not only saying it was doctored but the content does not support the conclusion,” he added.